Upper Tywi – Bike and walk! 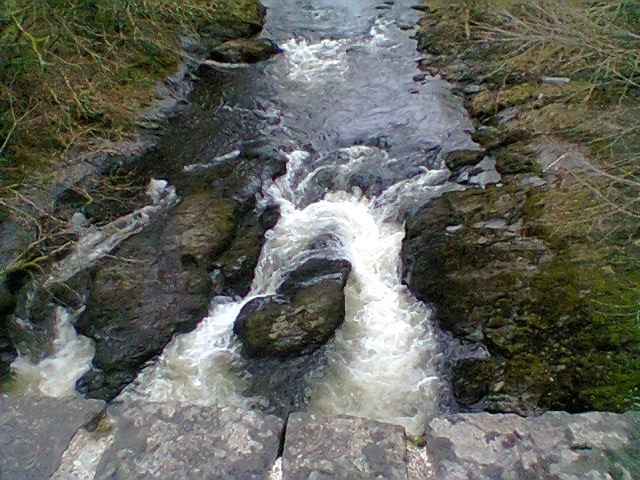 I have a bike ride in mind which takes in the upper Afon Tywi and then cuts across to the Afon Cothi and back, about 28 miles. So today I thought Paul and I could do a part of this just to see how it may pan out. The weather was dry but cold, cold, cold! 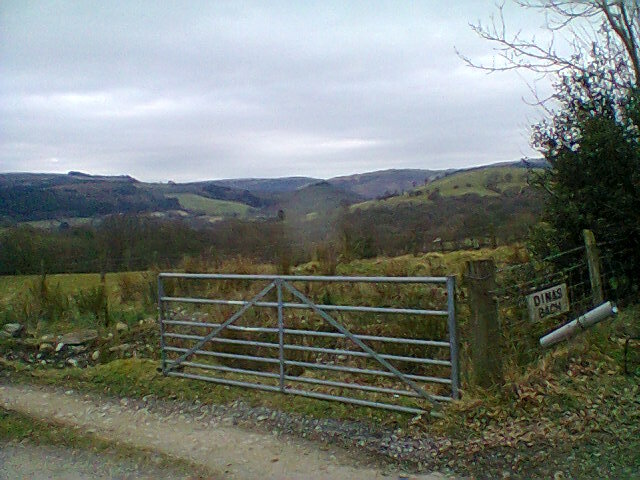 We set off from near Llandovery and headed up the valley. Our first photo opportunity was at Dolauhirion Bridge. This bridge was our usual egress point when open boating down the river. The stretch above the bridge is a fine grade 2 river. 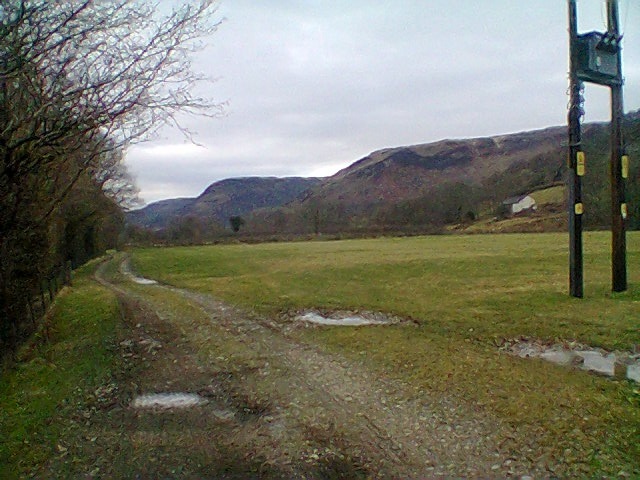 I had thought to cross the river and head for Cilycwm, but we covered the ground quicker than I thought and so we continued up the valley to Rhandimwyn and were going to cross over the river at that point. 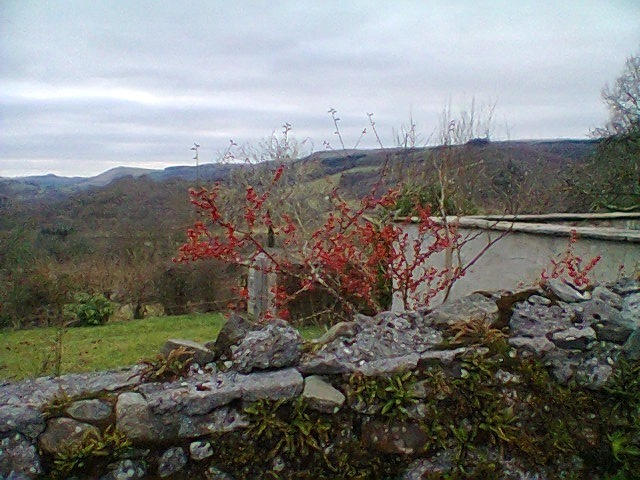 If you are considering this area, Rhandirmwyn has a tea room where the prices are very good. 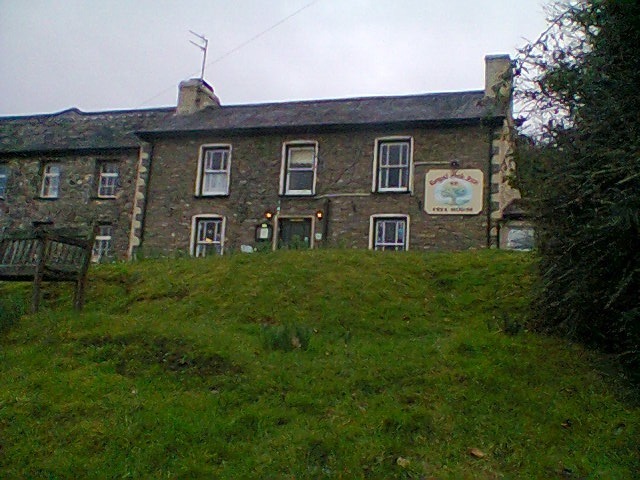 There is also a pub and a small shop. 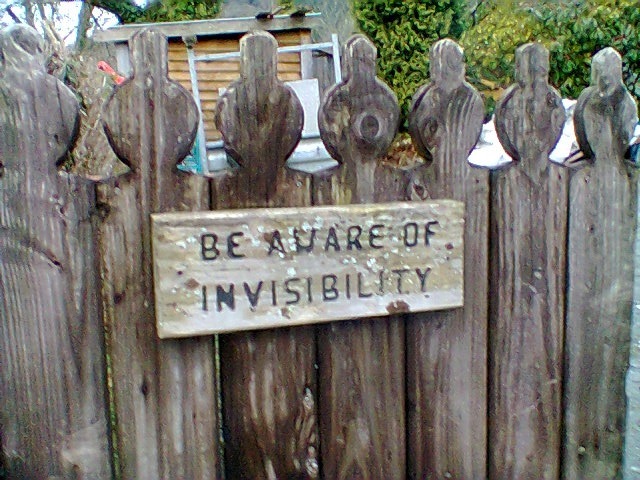 Next to the shop is a house clearly occupied by someone with a sense of humour. 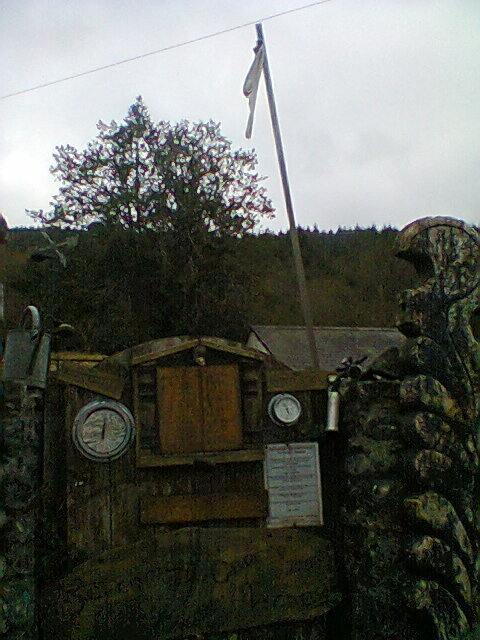 They have a weather station with a wind sock – literally a sock! There is also a stone on a string to show wind strength. In addition there is a good size Camping site which looks as if it has all the required necessities of life. This would be a good base for cycling and hill walking. As we headed down to the bridge to cross the river I noticed my front tyre was flat. No problem just change the tube. We found a thorn causing the problem – anyone want to join a campaign to stop hedge cutting? Once again the new tube I had bought was the wrong size, despite explaining to the bike shop where I bought it that I had a previous problem with wrong sizing. There was no alternative but to fix the puncture. There were a few puddles, but all iced over. I broke a hole in the ice but the tube would not show any tell tale bubbles and the tyre had not gone down. The front tyre was put back together and then I managed to break the pump!! 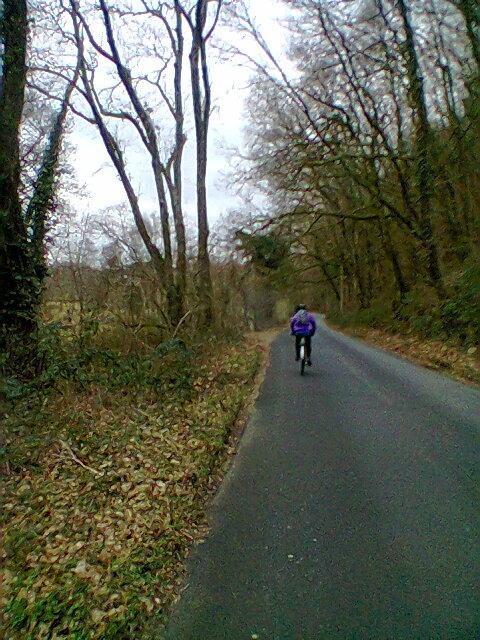 Paul agreed to cycle back to the car and pick me up, trip abandoned. I meanwhile, started walking back pushing the bike. The trip computer shows I can average 3.5mph whilst walking on flat tarmac – this will ruin my average bike speed. Paul turned up and the bikes were loaded for the return journey. There is a little more to the above puncture incident. On Saturday I took the actual wheel and inner tube to a local independent bike shop to ensure I bought the correct tubes. The owner told me that the tube I thought was the wrong size would be fine! I bought a second tube and a new pump and ordered a bottle of “Slime” which may slow down thorn punctures. That was Sod's Law with a vengeance – two mishaps, and at the furthest point from the start. 3.5 mph is a good walking speed. I have often found I do my fastest walking after finding I have made a route finding error and need to retrace my steps. I suppose I want obliterate the mistake as soon as possible.